DESCRIPCION CORTA: El Hulk Smash a control remoto le permite controlar el vehículo de Hulk con golpes, giros, vueltas y trucos. Ir a través de obstáculos o Knock ellos sobre con brazos de Hulk del balanceo. 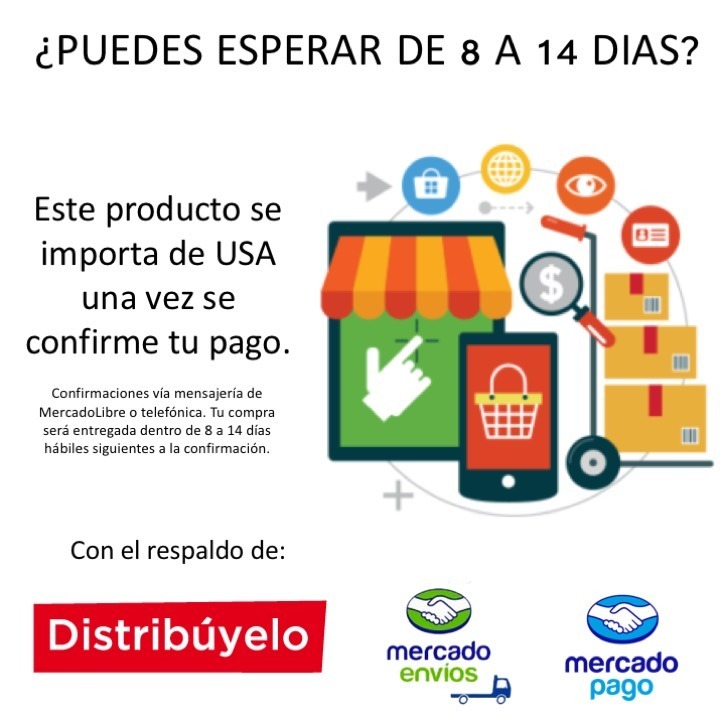 que se vuelque no paran Hulk – él le Smash su forma parte trasera en posición de conducción. 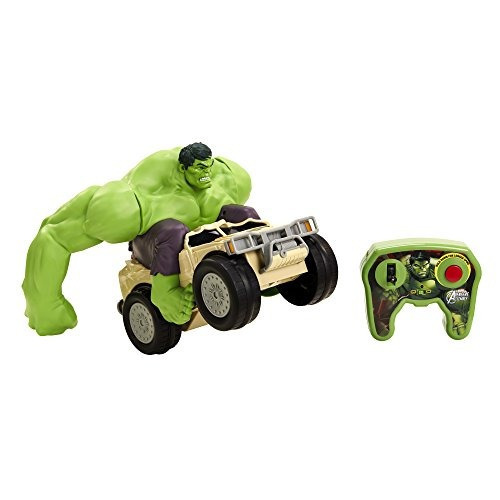 Marvel Avengers: XPV Hulk Smash Auto de juguete a control remotoMás información del productoMarvel-RC Hulk Smash! 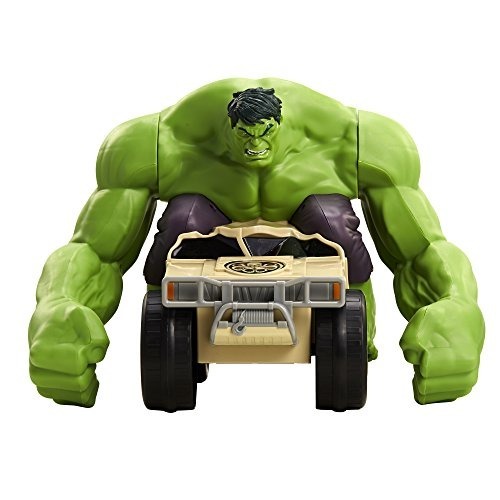 Hulk’s arms are constantly smashing to help propel the vehicle forward and to self-right when flipped over. 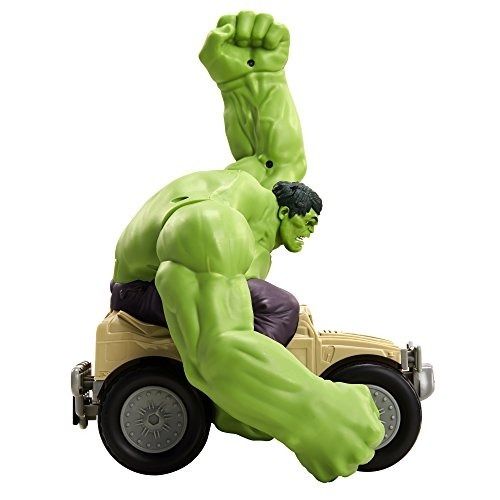 You can even drive Hulk into a wall and he will flip around and keep going. Experience the full power of Hulk by doing a 2-wheeled tornado spin, and watch him go around and around with incredible speed! Adjusting his arms to one of eight different positions allows the user to play with Hulk Smash in even more ways. Put the power of Hulk in your hands and watch him smash, flip and spin. Use the joystick to drive Hulk forward and to rotate/spin him, or push the red button to do a pre-programmed 10-second tornado spin. Adjusting his arms to one of eight different positions allows the user to play with Hulk Smash in even more ways. 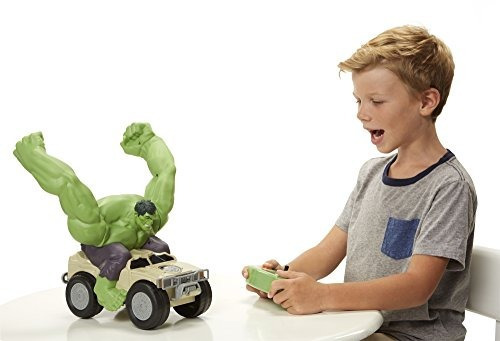 Hulk Smash doesn’t just let you drive, it lets you smash your way using Hulk’s massive arms. Watch him smash, flip and spin for an unstoppable RC experience. Hulk Smash includes 10 phrases and sounds that fully represent the personality of Hulk. Smash, Crush, and remember that Hulk is the strongest there is.